One thing I love to do for the holidays is watch Food Network to see what their stars are serving up for the holidays. The Deen Brothers had their own special this year and Bobby made this homemade cranberry sauce for their mom. It looked so delicious and simple that I quickly added it to my Thanksgiving menu. Well, my mom’s menu. It has a very sweet, autumn-y taste to it that is brought out by the orange juice and spices. 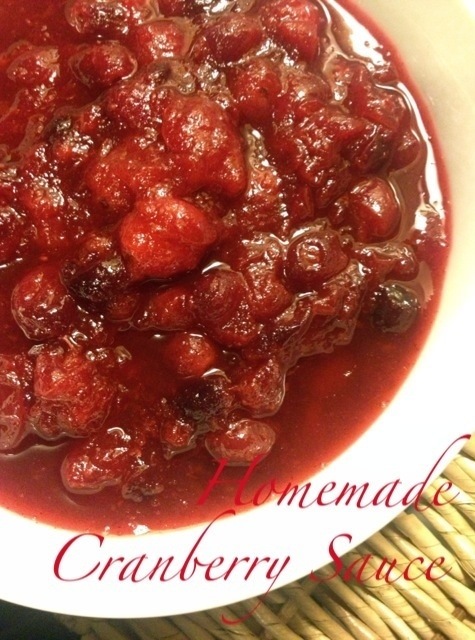 Homemade Cranberry sauce is one dish that is so simple to make and can add an extra special touch to your family dinner rather than slicing up the gelatin in a can. Although that can spread is still my niece’s favorite part of the holiday meal. Combine all ingredients in a medium saucepan and bring to a simmer over medium heat. Let cook for 15 minutes. Cool completely before serving.